Acting Balanced: New Clip & Contest Announcement from Wreck It Ralph! 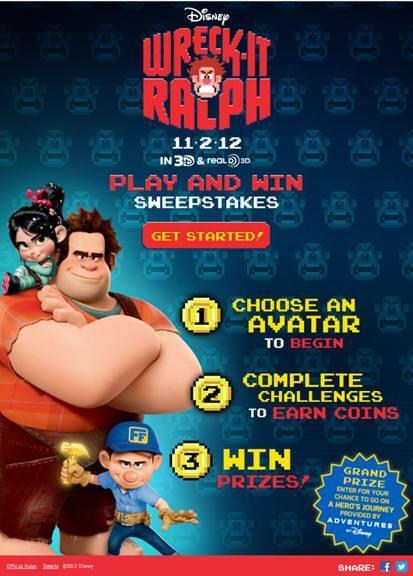 New Clip & Contest Announcement from Wreck It Ralph! Check out this latest Wreck It Ralph clip! And click on the graphic below to enter the world of WRECK-IT RALPH and go on a hero's journey for the chance to win a trip for four provided by Adventures by Disney! Complete weekly bonus missions to win awesome additional Disney prizes!